While the dawn of internet has bridged the barriers of communications and made intangible information within reaching distance, its state of privacy issues are still mind numbing to date. With many websites and online services being limited geographically, accessing these services need a work around. Also, as an internet user, one must be quite aware that he is never safe from the clutches of eavesdroppers on the internet. Your ISP also has access to your internet browsing activities and to keep away from eavesdroppers, accessing geo-restricted sites and to hide your IP address, you would need a smart tool that does all of them. VPN or Virtual Private Network providing tool is what that will be needed in your online invincibility endeavours. What the VPN technology does exactly is that routes your outgoing online data through its own server to keep the data away from other third parties. This data is completely encrypted and as many users simultaneously access these servers, the potential eavesdropper couldn’t possibly trace back to the content owner. Once you’ve decided you will need a VPN for protecting your online activities, you will need to find a tool that fits the perfect mould for you. Here we will be taking look at one such powerful VPN tool. Having the right tool for the task goes a long way in helping you accomplish what you set out for. 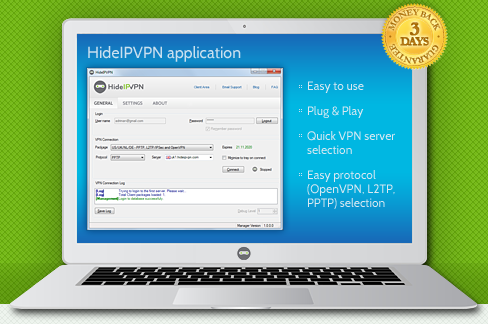 HideIPVPN is a premium VPN tool for safeguarding your online activities. 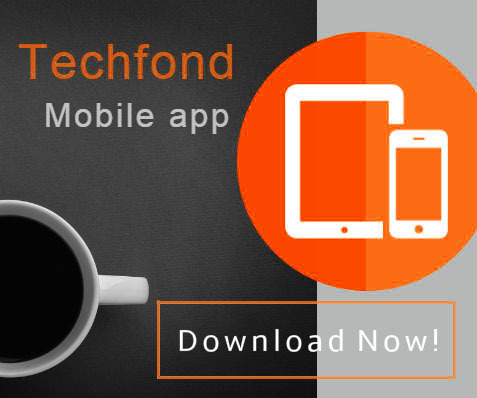 What makes this tool the best fit for your online activities is that this tool comes bundled with features that make it easily benefitting to both the novice and advanced internet users. For getting started and trying things out, you can download the 24 hours free trial VPN server at their official website. You can download the Mac OS X or the Windows variant, depending on your operating system. The download comes in at 2.5MB and the installation is straightforward. You will be presented with a screen as shown below upon launching the tool. The login details for your account will be emailed to you once you register at their official website. Further ahead, we will be taking a look at the simplicity and robustness of this tool that makes it better placed to be your VPN service. 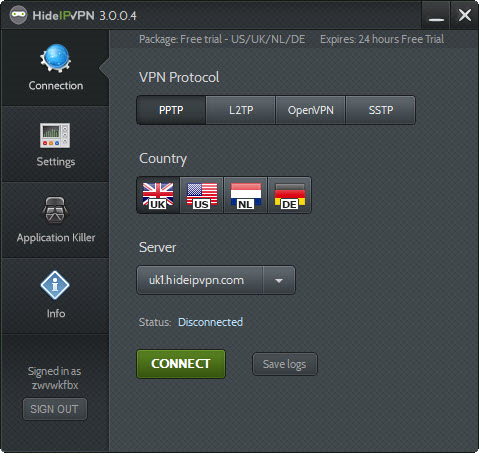 The setup of VPN with HideIPVPN is completely straightforward. Once you have your login details ready, enter those at the home screen and hit sign in. Now you will be presented with a screen seen below. At this window, you can select a few things like your preferred VPN Protocol, the server location and once done, hit connect. That’s it! And now your online data is untraceable by eavesdroppers. This simplicity makes HideIPVPN very popular amongst its users. We will be taking a look at some of the other options it provides while accessing the VPN. You can easily access the settings panel from the left-sidebar and see a few toggle bars and support for further updates. Among these settings are the options to run-at-startup and reconnect if connection drops. These are the basic settings for the application that let you decide when to connect to your VPN service. If you access networks like Netflix, Hulu, BBC iPlayer, Sky Go, ESPN, and such; you must know that they are inaccessible if you are at a location they are not officially supported at. Now you can easily access these networks by choosing the VPN location that is supported by these networks and hit ‘Connect’. Now you will never miss your favourite shows and content on geo-restricted websites. Spoofing your IP address is one way to stay off the grid. HideIPVPN automatically does that for you when you connect to one of their VPN servers. 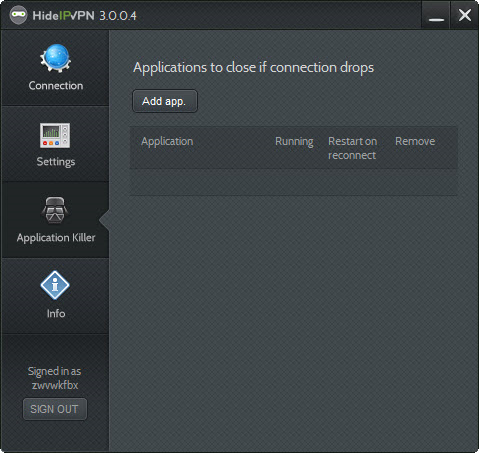 HideIPVPN includes a handy little feature that lets you define the applications that get automatically closed when the connection drops. This feature prevents you from sending data unprotected, when your VPN connection automatically gets disconnected. 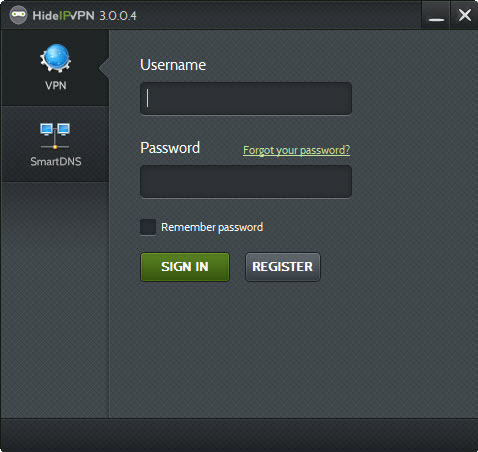 With support for multiple devices, HideIPVPN supports access to one single account from three devices, simultaneously. When you register to the premium plans at HideIPVPN, you get SmartDNS along with it. Users can make use of the standard OpenVPN encryption technology or choose from PPTP or SSTP from the tool. Users can also select their VPN server between United States, Germany, UK and Netherlands. The pricing for US or UK VPN is at $5.99 per month. 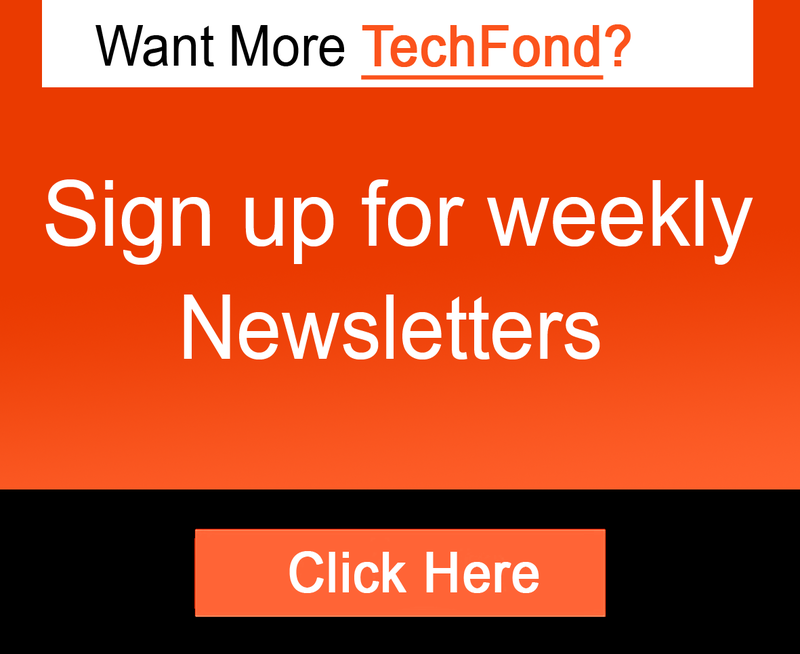 For an all-inclusive US/UK/DE/NL server, it is priced at $9.99 per month. 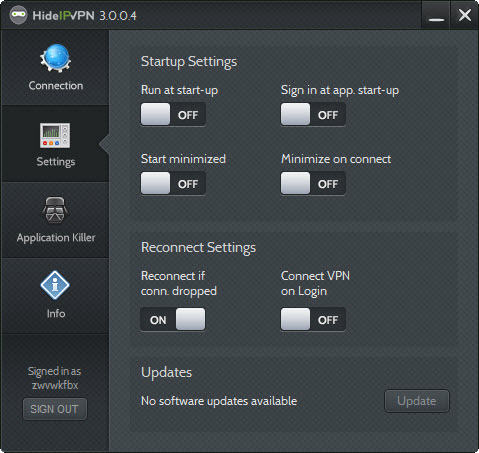 HideIPVPN is the simplest VPN tool that provides better service for both the novice and the power user. Safeguard your internet data and identity by using this nifty VPN service. Being lightweight and ease of shifting between multiple servers, this is the best VPN service in its price range. Although it has a few servers compared to its competitors, it gets the job done perfectly, on a budget. Simply one of the most recommended tool for internet users sceptical about their online privacy.